For most people, detox is the first tangible step in getting clean. It’s saying to yourself and to the world, “I’m in this for the long haul.” But when researching how to detox from drugs, you might find there are many methods and little direction. How do I detox from drugs? While it’s true that detox is a natural process by which the body removes toxins from the bloodstream and learns to function normally once more, some drugs cause so much damage to the body’s processes that this transition can be dangerous. For example, people who attempt to stop drinking alcohol can develop seizures. It’s clear that this is common, and it can be deadly. In a supervised drug detox program, people have access to immediate help that could stop these consequences from taking place. To detox from drugs can be painful and have many side effects. The cravings for drugs can be incredibly strong and hard to ignore. People who attempt to stop abusing drugs might go right back to using drugs when they’re facing symptoms like this. Some detox programs use medications to ease symptoms while others provide supportive care and counselling to encourage the person to stay on the right path. Either method could make relapse less likely. If the person feels comfortable, the urge to relapse to make the symptoms stop might grow smaller and smaller. They might believe that entering a treatment facility means giving up control and that going through the process alone will be safer and easier to handle. Unfortunately, this white-knuckle, cold-turkey approach is rarely effective. People who go through detox may endure physical pain as well as life-threatening side effects, and they may also have serious cravings for drugs. All of these factors put together could make the detox process less than successful. People who go through detox alone might have significant complications to endure, and those complications might pop them right back into a drug-using habit. 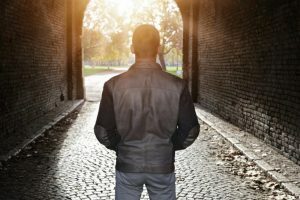 Entering a formal detoxification program for addiction might be a much safer, and much more effective, choice for people who need to overcome an addiction. At Detoxplus you will get the help you need to detox from drugs to give you the best chance that the process moves forward and results in sobriety instead of relapse. In the end, just deciding to stop using drugs is the most important thing a person can do, and whether a person chooses to start that journey at home or in a formal drug detox program is a personal decision. There are very good reasons to accept the help a formal program can provide, and we can direct you to many reputable detox programs that are willing to step in and deliver that help.